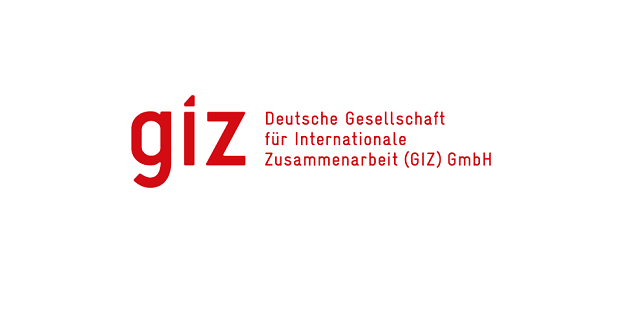 The Deutsche Gesellschaft für Internationale Zusammenarbeit (GIZ) GmbH is the German federal agency for international cooperation based close to Frankfurt, Germany. It operates on all continents via an extensive network of local offices (see our website www.giz.de/en). GIZ International Services (GIZ InS) is an integrated department of GIZ offering consultancy services for international and national clients such as the European Union, the World Bank, the UN institutions or national governments. In particular, GIZ International Services in Brussels is one of the Service Providers (SP) of the European Commission for the implementation of the EU Election Observation Missions (EOM) implemented in Latin America, Africa, the Middle East and Asia. EOMs last from 3 to 5 months in the country of deployment. The GIZ team arrives before the deployment of the election observers to install the mission headquarters and prepare all services for the safe deployment of the observers across the country. The team leaves the country after the departure of the observers once the activities are closed down and all payments made. The permanent GIZ EOM team is based in Brussels and works on the missions’ preparation, contracts, financial monitoring, procurement in Europe, payments, supports and supervises the management of the missions. The team is also responsible for the projects’ acquisitions (8 to 12 tenders a year). GIZ International Services in Brussels is looking for an enthusiastic and dynamic professional to join the Brussels team as Administration and Finance Officer, ready to go on mission at least once a year (3 to 5 months abroad full time). Support to missions’ implementation from Brussels when not deployed. Be responsible for the bookkeeping of all the project related costs in the country of deployment based on the GIZ bookkeeping system and rules as well as principles of sound financial management. Assist in interviews of local staff, prepare the terms of reference and contracts. Prepare all payments and ensure that all payments are done in a timely and correct manner. Ensure that the project account is in accordance with the bookkeeping and the invoices. During deployment, you will be working full time, 7 days a week, and be entitled to EU per diem. We invite candidates meeting the minimum requirements below, fluent in English & French (level C1 or C2 following the EU language passport) + a third language (Spanish, Portuguese or Arabic)to apply. First level education in accounting, finance or related field. Language skills: fluent in English & French (C1 or C2 following the EU language passport) as well as in one of the following language is mandatory: Spanish (preferred) – Portuguese – Arabic. Stress resistant, capable of working accurately under tight time constraint pressure. High-level competence in Excel and other specific computer financial management packages. Working knowledge of European Commission procedures is a strong asset. Excellent social and communication skills, team spirit. Flexibility, proactive and service-oriented attitude. Availability and desire to work abroad full time during several months. If you are interested in working in an international environment, willing to learn & handle different tasks, in Brussels and abroad, with challenging timetable/deadlines, please apply and join our team! Interested candidates are invited to submit their applications - CV and cover letter (max. 2 pages) in English - to applications@gizeom.eu by Friday 22 February 2019 at the latest. Please also mention the names & contacts of at least 2 professional references. Only shortlisted candidates will be contacted. Thank you for your understanding. Interviews will take place in GIZ InS Brussels office.